A food processor makes it easy to chop the peppers. Use red and green jalapeño peppers for a really pretty jelly. 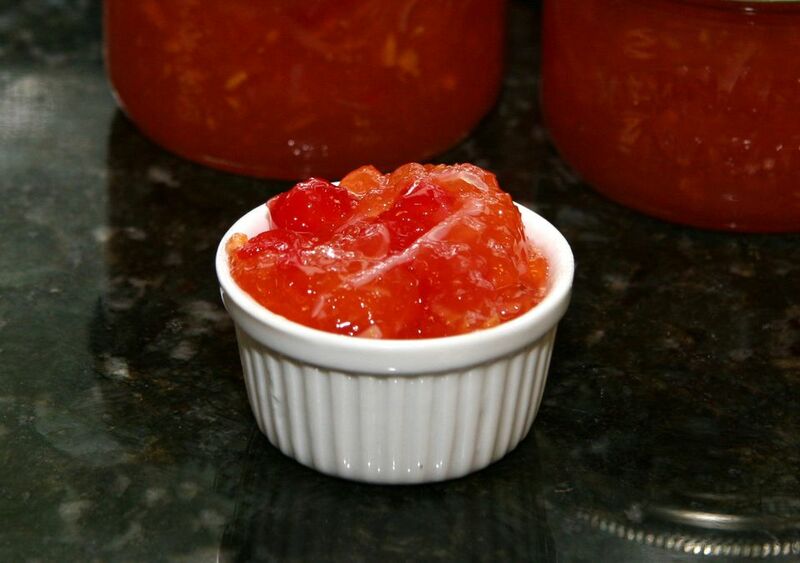 Jazz up your morning toast or bagel or use this jelly to top cream cheese and crackers. Fill a water bath canner about half full; add the empty canning jars (6 half-pint size) and bring to a boil. Lower heat and leave jars in the hot water. Fill a saucepan with water and bring to a boil. Lower heat and add the lids; keep hot. In a large stainless steel stockpot or kettle, combine vinegar, chopped/processed jalapeño peppers, and sugar. Bring to a full rolling boil over medium-high heat, stirring constantly. Stir in the liquid pectin and return to a full rolling boil. Boil for 1 minute. Remove from heat and skim off any foam. Immediately ladle into the hot jars, leaving 1/4-inch headspace and wipe jar rims with a wet paper towel. Fit with lids and screw on the bands firmly. Place the jars in the canner on a rack and add more boiling water to at least 1 inch above the jars. Bring to a boil, cover the pan, and keep boiling for 10 minutes. Note: 1-pint jars should be processed for 15 minutes.